For 3 days, Our Detroit expat guests this year will have the chance to interact with local policy makers and experts, entrepreneurs, organizers and project coordinators. Through various seminars, discussions, tours and entertainment, Homecoming attendees will be able to reconnect with their hometown and understand how it continues to serve as a hub of innovation. Walk the streets of your old hometown. Experience the vibrant projects and spaces which have been created by the city's creatives and entrepreneurs. Build relationships with successful start-up founders, national-level policy makers, corporate executives, non-profit managers, social influencers, and academics. Gain a first-hand awareness of the policies being developed and implemented inside Detroit by city officials, foundation executives, and other policy makers. Have a good time. Enjoy performances by local entertainers. Experience the amazing restaurants and bars. See how Detroit has expanded and enhanced its nightlife options. You love Detroit. From your family's first car, opening day at the old Tiger Stadium to the sounds of Motown at family barbecues and the blue collar work ethic instilled in you as you grew up: Detroit made you who you are. 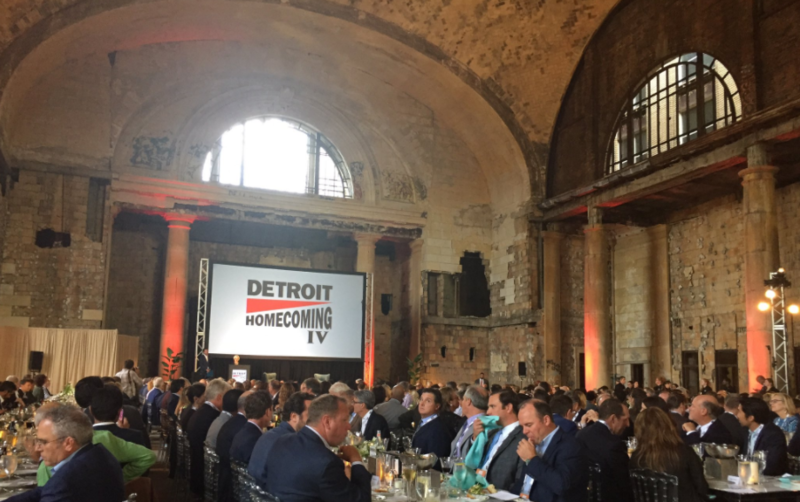 Detroit Homecoming is your opportunity to both relive the city of your youth and to encounter a city committed to playing a key role in the future of the role. Meet with local officials, entrepreneurs, and creatives. Understand the role you can play in one of the greatest comeback stories in the history of urban revitalization. "Detroit Homecoming reframed the conversation about the city; we now talk about all the city is and can be instead of what it isn't and has not been. Our planning team is now sending invitations to Detroit Homecoming V. Please submit your name or the name of other Detroit expats you would to see attend Detroit Homecoming.